Many current and former NYPD officers contend that the department pressures officers to produce high arrest numbers in low-income black and brown communities. Some officers with high arrest numbers also rack up record numbers of civilian complaints. High arrest numbers mean more than 250,000 cases are prosecuted every year in New York City, though the court system only has enough judges and staff to take about 650 of those cases to a jury verdict each year. That means prosecutors often pressure defendants to plead guilty, which tens of thousands of defendants do each year. Some of them are innocent. New York’s blindfold law, which allows prosecutors to withhold crucial evidence from defendants until a trial is about to begin, leaves defendants and their attorneys in the dark. In the low-income communities where Gomez operates, people who have been wrongfully arrested face enormous obstacles in proving their innocence. One reason is the sheer volume of arrests in these neighborhoods. In New York City, where the arrest rate has begun to decline after soaring for decades, there are still more than 250,000 arrests prosecuted per year. The city’s courts, meanwhile, employ only enough judges and court staff to take about 650 of those cases all the way to trials with a verdict. With hundreds of thousands of cases to dispose of, prosecutors often try to pressure defendants to plead guilty, typically pursuing lesser charges if they agree to take a plea. Not everyone who succumbs to this pressure has committed a crime. For defendants who can’t afford bail, just getting out of jail can be reason enough to take a plea. “There are people pleading guilty every day in that courthouse to things they didn’t do,” says Marty Goldberg, a lawyer with decades of experience as both a prosecutor and a defense attorney in the Bronx. He investigated his first wrongful arrest in 2014, a murder case in which a young Dominican immigrant named Enger Javier spent two years in jail awaiting trial. Gomez found surveillance videos that proved Javier was not involved in the stabbing; the district attorney dismissed the charges, and Gomez’s client sued the city for wrongful imprisonment, receiving an $800,000 settlement. Since this first case, he says, he has investigated dozens of others. In a number of high-profile cases, his clients had their charges dismissed or won settlements from the city. Gomez says he often allows his clients to defer payment until they receive settlement money. His clients speak warmly of him. One man who had spent months in jail told me Gomez brought him clothes and books after he was released. “He treats people the right way,” he said. Listen to our podcast about Gomez, Hernandez, and the 42nd precinct. Produced in partnership with Gimlet. But as I followed Gomez over the course of a year and a half and multiple investigations, watching him attack the credibility of cops and prosecutors in New York, it became clear that Gomez had credibility issues of his own. His single-mindedness, though clearly an asset to his clients, could also be a liability. He could be rash to the point of recklessness. He had a history of aggression and violence. And he sometimes overlooked facts that didn’t conform to his preconceived ideas of justice and injustice. Some cases his clients have brought against the city and the police have been dismissed with prejudice by the courts. Goldberg told me that even if his clients were out of options, he’d advise against hiring Gomez. “I am loath to believe anything the man says,” he told me. New York Police Department 42nd Precinct in The Bronx. 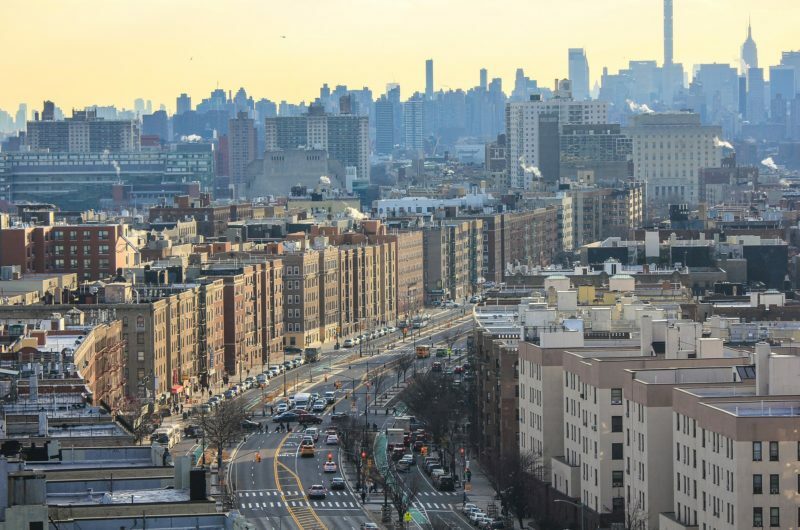 When Hernandez’s troubles started, he was living with his mother, Jessica Perez, and three siblings in the Morrisania section of the Bronx, a hilly neighborhood scattered with massive public housing complexes. As of 2015, Morrisania accounted for a higher percentage of the city’s jail population than any other neighborhood in New York. Hernandez’s older brother, Jesswill, was in jail, facing a murder charge for which he would later be convicted. Hernandez had been having his own run-ins with the law. Starting when he was 15, he had been arrested multiple times for a series of shootings and robberies, among other less serious offenses, and had spent time in a juvenile detention facility. But all his criminal charges were eventually dropped. Perez called Gomez, whom she had seen on television. Gomez says he was initially skeptical when Perez told him her son’s story. Would rogue cops really conspire to arrest the same kid again and again for crimes he didn’t commit? “It was too outrageous,” he said. “Too out there.” But after meeting Hernandez, Gomez was convinced of his innocence. “He didn’t have that street look, like a thug or criminal,” he told me. “He was just very family-oriented. You could see that. You could feel it.” Hernandez told me that he was “not a saint,” but he added, “I wasn’t the worst kid outside in the streets either,” and he insisted that he hadn’t committed any of the crimes for which he was charged. Gomez took the case and began reviewing what little evidence the prosecutors had been required to share with the defense: A 15-year-old boy was shot in the foot during a street fight, and “one or more witnesses” identified Hernandez as the shooter. The paperwork didn’t name the witness or witnesses, or any details about what they claimed to have seen. Little Shawn’s full name was Shawn Nardoni. He took one look at Gomez in his pinstripe suit and sprinted in the opposite direction. Gomez says he chased him through the playground, shouting that he wasn’t a cop, insisting that he only wanted to help. Eventually Nardoni stopped running and agreed to talk. In school, Gomez says, he received a diagnosis of dyslexia and was placed into a special-education program, but his mother refused to let him doubt himself. “She would always say to me: ‘Little Manuel, a man who sets limitations has limitations. What are yours?’ And I was to say: ‘Nothing, Mom. I can do everything.’ And if I didn’t, I would get smacked in the head.” Inspired by Captain America comics, Gomez joined the military after high school, eventually becoming an Army intelligence officer and deploying to Iraq. In the late ’90s, between stints overseas, he returned to the Bronx and decided to become a cop. His trouble with the N.Y.P.D. began almost immediately: Two months after he entered the academy, the department demanded his resignation. On his application, he had written that he had never been arrested, but his supervisors said his record showed otherwise. Gomez had had a couple of encounters with police officers in the past, but none that he ever thought of as an arrest. 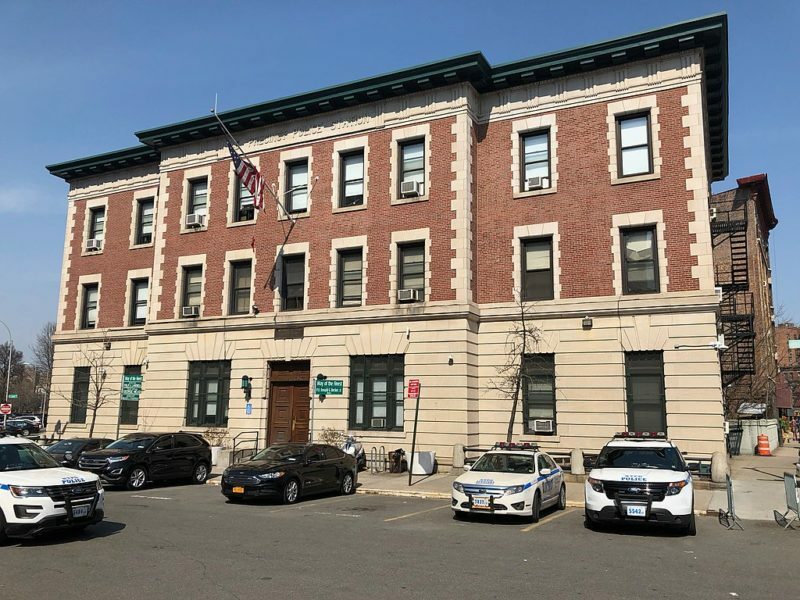 In one incident, a cop stopped him in the subway saying he fit the description of a suspect, but the commanders at the precinct quickly realized they had the wrong person and let him go. No prints were taken, no charges filed. Still, the voided arrest record remained logged in the N.Y.P.D. database. Banished from the department, Gomez decided to join a class-action lawsuit filed by the Latino Officers Association, a group of cops who were suing the N.Y.P.D. over what they claimed was a deep-seated culture of discrimination against black and Latino officers. He also helped to draft state and federal legislation that would erase erroneous arrests from people’s records. In the Congressional Record from March 2001, Representative Jerrold Nadler lauded Gomez as “an example of a crusader who stays focused, works hard and demands results.” The bills eventually died, but that same year the department offered Gomez his job back. “What a mistake that was,” Gomez told me with a sardonic laugh. Grand Concourse in the Bronx, close to where Manuel Gomez grew up. His first assignment, in 2003, was in the 43rd Precinct, a high-crime area not far from where he grew up. He proved to be what the department calls a “proactive” cop — the kind who goes out looking for people to arrest instead of just responding to 911 calls. Such officers typically thrive in the department, earning commendations and promotions. But Gomez’s career followed a different trajectory. Within a year, the department had placed him under review. In a letter to the department’s headquarters, his precinct commander noted that civilians had been filing official complaints against Gomez, accusing him of verbally abusing them, threatening them with violence and using excessive force. Gomez points out that the department later held a hearing in which he was cleared of wrongdoing. Like many cops, he frames his complaint record as a litany of false claims made by criminals who resented his aggressive approach to policing; in other words, it was an unavoidable consequence of behaving exactly as the department wanted cops to behave. Just a few days later, Gomez was driving down a dark, empty street when a guy in a van waved him over and tried to hand him a paper bag filled with packets of what looked like heroin. The man was dressed like a utility worker and claimed that he had found the bag at his work site. Gomez says he suspected that the man was conducting an “integrity test” — a procedure in which undercover Internal Affairs officers try to tempt fellow cops into accepting bribes or drugs. He says he knew that the department guidelines required him to take the bag to the precinct and hand it over to his supervisors. But then he remembered Miranda’s warning. Was this a setup? If he followed the rules and drove off with the bag, he worried Internal Affairs might try to frame him by claiming he had kept some of the drugs for himself. Gomez offered to drive the man to the precinct; that way, Gomez wouldn’t have to touch the bag, and no one could say he’d stolen any drugs. It turned out Gomez was right to be suspicious: The man worked for Internal Affairs. He got back in the van and drove off. Gomez was soon cited for “failing to take police action,” another stain on his record. Over the next few years, things only got worse. Gomez, who was still in the Army Reserve, was sent to Afghanistan, and when he returned after a year he was suffering from insomnia, sleeping three hours a night. Back at work, he was punished for various infractions, like allowing a prisoner to use the restroom unaccompanied, and he was shuttled among a series of dreary “punishment posts” — the auto pound by the Gowanus Bay, the lost-property division in Queens. Gomez says this was all retaliation for suing the department. On an August afternoon in 2009, while off duty, he was driving down a street in the Bronx when he got into a furious argument with a woman he was dating. He pulled over and demanded that she get out of the car, eventually walking around to her side and pulling her out. Later, in a Police Department administrative trial, she said Gomez punched her in the legs. (Gomez denies this.) Gomez got back in and was about to drive off when she slammed her fist into the back windshield, breaking the glass. Blood began gushing from her hand. As Gomez called 911, a crowd of bystanders gathered in the street. Several men, believing that Gomez had attacked the woman, approached. Gomez began shouting that he was a cop. He says someone grabbed him from behind, and he fell, fracturing three of his ribs. He took out his gun and aimed it at the crowd, telling the men to back away. The woman began to leave the scene, trailing blood. Gomez followed her, handcuffed her uninjured hand and brought her back to his car. When the police arrived, Gomez ordered them to arrest the men in the crowd, shouting that they had assaulted an officer. The officers arrested Gomez instead. He spent the next five days in jail. This wasn’t the only time the cops were called to respond to a domestic incident involving Gomez. At least three other instances have been documented. In one case, Gomez pleaded guilty to harassment with physical contact. After the incident on the street, the woman Gomez was accused of assaulting said he urged her to write a letter to the district attorney asking him to drop the charges. She did, and the case was dismissed. But when the N.Y.P.D. held its own administrative trial, a prosecutor for the department argued that Gomez had committed multiple acts of misconduct. Declaring that Gomez’s defiant testimony at the trial revealed “a complete lack of insight into the inappropriate nature of his action,” Deputy Commissioner David Weisel wrote that Gomez deserved a “higher penalty” than other officers charged with similar infractions. Gomez was fired. Exiled from the department for the second time in his career, Gomez filed for his license to become a private investigator. At first he took whatever jobs came his way. He tailed cheating husbands and ran background checks on potential hires. He worked as a bounty hunter. And then he stumbled onto the case of Enger Javier, the Dominican immigrant who had spent two years in Rikers. After getting that case dismissed, he began acquiring a reputation in the South Bronx as a sort of folk hero. Desperate mothers began calling him for help, telling him the cops were targeting their sons. One young man, Anthony Floyd, told Gomez on video that Terrell and other officers had beaten him in a cell at the 42nd Precinct, breaking his nose and eye socket. Gomez relayed these stories to his contacts in the local media: Sarah Wallace at NBC and James Ford at PIX11, who reported on these claims about Terrell and the 42nd Precinct. In December 2016, as media coverage mounted, the Police Department took Terrell out of the 42nd Precinct and relegated him to a job escorting prisoners in a Manhattan courthouse. The department said it was investigating his involvement in an unrelated domestic incident. Hernandez’s situation remained unchanged. But he stayed in jail, where he says he was repeatedly assaulted because he refused to join a gang. “I’m not suicidal,” he told me on the phone from Rikers in April 2017, “but I’d rather be dead than being in here.” Every month or so, he would return to the Bronx courthouse for a hearing. But each time, the judge would grant the prosecutor’s request to delay the case. Although the right to a speedy trial is guaranteed by the Constitution, the Bronx’s court system is so clogged that cases can drag on for years. This often works to the advantage of the prosecutors. By asking for delays, they can prolong a defendant’s stay in jail, ratcheting up the pressure to take a plea deal. In New York State, more than 98 percent of felony arrests that end in convictions occur through a guilty plea. In July 2017, when Hernandez had been in Rikers for nearly a year, the D.A.’s office offered him a deal. If he pleaded guilty, he could go home, and if he managed to avoid arrest for the next five years, his record as a youthful offender would be sealed. By then, Hernandez had earned his high school diploma in the East River Academy on Rikers. He also tutored other inmates and was nominated for a scholarship from the Posse Foundation, which awards college scholarships to outstanding public-school students. To have a chance at the scholarship, he would have to interview in early September. If he refused the plea deal and the prosecutors kept delaying the trial, he would risk losing the opportunity. But if he took the deal and was later arrested — a likely scenario given his history with the police in his neighborhood — he would be a felon for the rest of his life. Gomez had tracked William Stevens to an upstate prison where he was serving time for a robbery. Over the following months, several versions of Stevens’s story would emerge, including the version Gomez shared with the media, the version that Stevens would offer to a television reporter summoned to the prison by Gomez and the version Stevens would recount to me. There were discrepancies among these accounts, and it was hard not to wonder if Gomez, in his zeal for vengeance and vindication, had embellished Stevens’s story. At one point, Gomez claimed that cops coerced Stevens into falsely identifying more than 25 different people as culprits in various crimes, but when I spoke with lawyers who represented several of those defendants, none of them recalled hearing about a witness named Stevens. When I sat down with him and his lawyer last summer, he told me that he knew what it was like to live in a place like the 42nd Precinct, caught between gangs and cops. A black detective in his 40s, he spent much of his childhood in Bedford-Stuyvesant, a Brooklyn neighborhood that had a high crime rate. When gunshots rang out in the streets, he said, his mother would hide him and his brother in a closet and push a refrigerator in front of the door. As he got older, many of his friends were murdered. But he didn’t see the police as protectors or allies. “I didn’t like the way they treated black people,” he recalled. A former athlete who played professional basketball overseas, Terrell said he had come to think of policing as a kind of sport. “It’s a cat-and-mouse game,” he told me. “Sometimes the bad guy wins, sometimes the cops win.” Carefully enunciating each syllable, he said, “I like to compete.” In the N.Y.P.D., cops can get attention by racking up high arrest numbers. I asked Terrell where he ranked in that particular competition. “Oh, I’m high up,” he said, laughing. Other officers across the department have said that at least until recently, commanders generally expected them to make between 12 and 24 arrests a year. According to Police Department documents, Terrell was averaging around 62 annually. After a few years in the 42nd Precinct, he was assigned to an influential position as a field intelligence officer responsible for gathering information on gangs and crews. The Police Department had begun monitoring the social media conversations of teenagers they had identified as potential gang members, and Terrell says he used that information to build cases against them. In 2015, he helped bring down a big target for the precinct — a crew of young men who were implicated in a rash of crimes, including the murder of a Little League coach. The Bronx district attorney singled him out for praise, and he was promoted to detective. It was after that, Terrell said, that he turned his attention to Hernandez. He never arrested him, but he said he began investigating him. According to Terrell, Hernandez wasn’t who he said he was. “I’ve said it a million times,” he said, “and I’ll say it until the day I die: He’s a vicious kid.” He said he couldn’t speak about continuing investigations, but Terrell had a theory about Hernandez and all the other people who had leveled accusations against him. He said they all belonged to different gangs and had been trying to destroy his career so that they could continue to pursue their lives of crime with impunity. And he said that Gomez, by gathering and publicizing their false accusations, was perpetrating a kind of fraud on the public. Terrell rightly pointed out that Gomez wasn’t working free. Gomez had introduced Hernandez, Nardoni, Floyd and many of Terrell’s other accusers to the lawyers Emeka Nwokoro and John Scola, who had agreed to file lawsuits on their behalf. If the city settled these lawsuits, Gomez says, he’d be paid his fee. (Nwokoro and Scola declined to comment.) Stephen Gillers, an expert in legal ethics at N.Y.U. Law School, told me that such arrangements weren’t necessarily unethical, but they weren’t advisable either. If an investigator has a financial stake in a lawsuit, he could be tempted to distort the truth. Gomez, of course, had told me a similar story about the complaints that were made against him during his own time as a cop, and as I listened to Terrell, it struck me that the two men had certain things in common. Like Gomez, Terrell classified people as “good guys“ and “bad guys.” Like Gomez, he felt betrayed by the Police Department. And like Gomez, he claimed that a conspiracy was afoot in the Bronx. But there was an issue with Terrell’s theory: Gomez, Hernandez and others involved in the suits weren’t the only people raising questions about him. The Civilian Complaint Review Board (C.C.R.B. ), a city agency that investigates certain kinds of police abuse, had received over 30 complaints about Terrell, more than all but two other active cops. Most of these had been filed before Gomez began investigating him. Many were found to be “unsubstantiated,” but that doesn’t mean they were baseless. It means that the C.C.R.B. did not have enough evidence to prove whether Terrell had committed misconduct or not. Citing continuing litigation, a Police Department spokesman declined to respond to specific questions about Terrell, but he noted that the police commissioner, James O’Neill, recently appointed an independent advisory panel to review the department’s disciplinary system. The panel is expected to announce its findings by the end of January. Hernandez’s trial date was set for September 6, 2017. As he waited in jail, activists began rallying behind him, lauding him as an award-winning scholar who had taken a courageous stand against the system by demanding his day in court. Eventually his story reached Robert F. Kennedy Human Rights, an organization led by Kerry Kennedy, Robert F. Kennedy’s daughter. The foundation posted Hernandez’s bail, allowing him to return home. The R.F.K. organization also enlisted a high-powered attorney, Alex Spiro, to take over Hernandez’s defense. One of Spiro’s first moves was to demand that Gomez, who was still acting as a sort of representative of Hernandez’s, stop talking to the media. He believed that if Gomez kept antagonizing cops and prosecutors, he would sabotage any chance Hernandez still had of getting the case dismissed. Gomez ignored him. At a rally for Hernandez held by activists outside the Bronx district attorney’s office, Gomez grabbed the microphone and called the office a “hornet’s nest of corruption.” He had no reliable proof that the prosecutors had broken any laws, but if the office really was a hornet’s nest, he was kicking it. Inside the courtroom, a prosecutor read aloud a statement prepared by the Bronx district attorney, Darcel Clark. According to Clark, her office had conducted a “detailed review” of the case and learned that “one of the original witnesses is no longer cooperative.” Her office wouldn’t elaborate. But two months later, in November 2017, Clark announced that the U.S. attorney’s office had agreed to assist her office in conducting an investigation into “allegations” surrounding the case. In the same statement, she noted that she would not “tolerate misconduct by law enforcement.” Neither the Bronx district attorney nor the Justice Department would confirm whether this investigation is underway. Many other questions remain unanswered. Did Terrell really coerce witnesses into lying? Did Gomez spread lies about Terrell? Was Hernandez really the menace Terrell claimed he was? If Hernandez’s case had gone to trial, a jury would have had an opportunity to review the facts, weigh the credibility of the opposing parties and arrive at a conclusion. But in a justice system founded on the principle that everyone deserves a trial, Hernandez had spent a year in jail without one. Spiro, Hernandez’s attorney, laid the blame on a problem far bigger than any individual cop or prosecutor. If kids in the Bronx were arrested for minor offenses less often, he said, and were instead treated like kids in the suburbs, “where you speak to their principal and you put them in counseling,” where the authorities aren’t so quick to label them as “bad guys,” there would be fewer cases clogging the courts, and defendants wouldn’t have to wait so long to go to trial. Public defenders would have more time to meet with them. Prosecutors would be under less pressure to get them to plead guilty and would be less inclined to ask for bail amounts that keep defendants in jail. More cases would actually go to trial. “The system would work better,” Spiro said. And there wouldn’t be so much demand for a rogue actor like Gomez. To Gomez, Hernandez’s story was the ultimate vindication of his work. He was featured in a documentary, “Crime + Punishment,” that made the rounds of film festivals, including Sundance, where Gomez was photographed on the red carpet. The film has been shortlisted for an Academy Award. He devised a piece of legislation that would create a new state agency with oversight of police departments and district attorneys’ offices throughout New York. He persuaded Nathalia Fernandez, an assemblywoman from the Bronx, to sponsor it, and it will soon be introduced. Hernandez, meanwhile, returned to court again and again for a number of other cases — mostly traffic infractions but also an old robbery case that had never been resolved. That case was dismissed, too, this past October on the condition that Hernandez make good on the academic potential he displayed in jail by completing a semester of college. A lawyer from the R.F.K. organization says he has enrolled at a four-year college and plans to attend. Gomez soon turned his attention to a new client. The case had many of the same elements as Hernandez’s: a young man who was accused of a violent crime and claimed he was innocent; cops and prosecutors whom Gomez had accused of corruption; and a witness for the prosecution who switched sides after talking to Gomez. But this time, Gomez’s tendency to walk the edge would work against him. Rather than dismissing the charges, the prosecutor, Karen Ross, asked for a hearing to assess whether Gomez had committed misconduct in his contact with one of the witnesses. If she succeeded in persuading the judge that Gomez had meddled with the case, Gomez and his client could both be in trouble. In November, Holder issued his decision on the hearing. In a fiery 35-page memorandum, he blasted Gomez as a bad investigator, a disgraced cop and an “extremely argumentative” witness with a clear “agenda to publicly smear the prosecutor and N.Y.P.D.” In this case, unlike in Hernandez’s and so many others, the D.A. had actually turned over thousands of pages of documents to the defense, but Gomez, as the judge noted, had not reviewed most of them before “determining in his own mind that defendant was innocent.” In the courtroom, the judge determined that Gomez had committed misconduct, and then he announced that he had found the defendant to be complicit. A woman’s scream rang out. Guards restrained the defendant, who was out on bail, and led him off to jail. By that point, I had followed Gomez for almost two years. I had seen his work vindicate some people and fail others. Nearly all the lawsuits filed against Terrell, including by Shawn Nardoni and Anthony Floyd, had been dismissed by then, many because of insufficient or contradictory evidence. None of this reflected well on Gomez, who staked his reputation to the validity of those claims. He saw the system as corrupt, but his brand of street justice was full of its own contradictions and hazards — for his clients and himself. Saki Knafo is a reporting fellow with Type Investigations. He is the host of “Conviction,” a new podcast based on his reporting for this article for Gimlet Media. Saki Knafo is a freelance journalist.